This first look is a casual day outfit, I love this boyfriend style shirt from New Look, I think a check shirt is a staple item for any wardrobe. 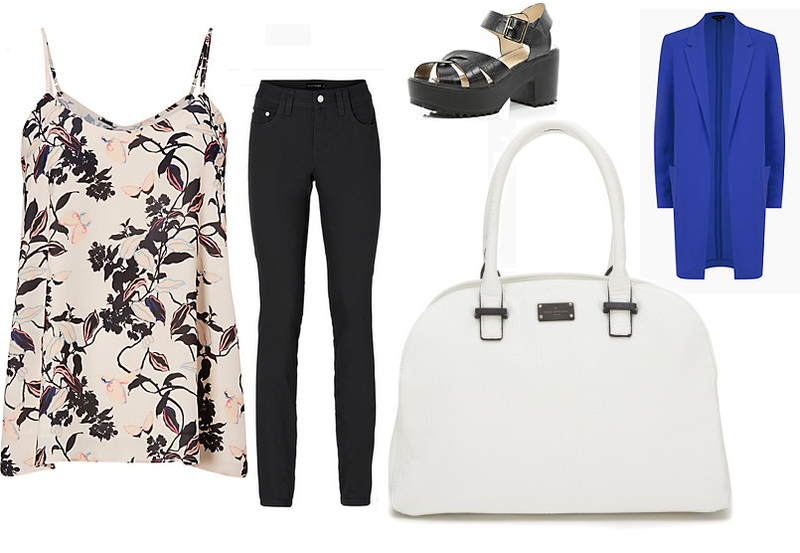 I love these shoes from Topshop they make the outfit a little more girly and match this gorgeous bag from New Look. 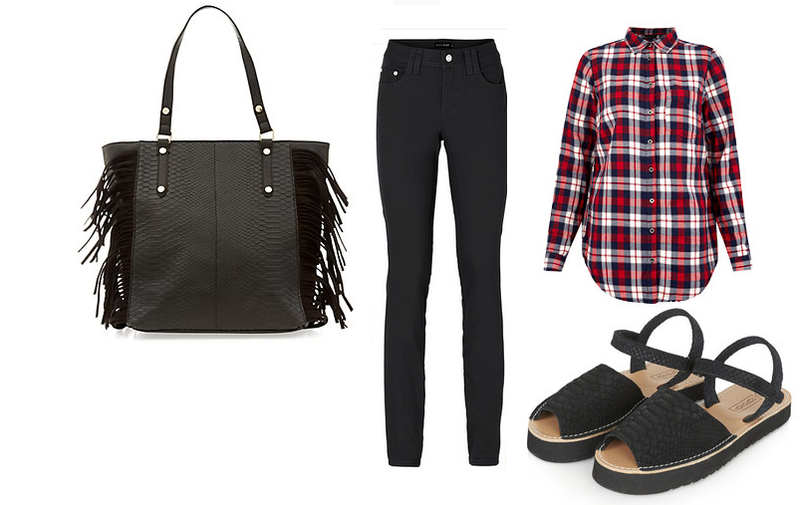 Its a great casual outfit for day to day wear for shopping or a day out with the girls! I think this is how you could style the jeans for work or a more smart look. I would wear this for a a meeting, an interview or if you work in retail. The jacket is very smart as it has the lapels but the colbalt blue makes it a statement piece. I love this cami from Oasis, I think it would look great with the cami. The pattern and colour would go great with the jeans and the jacket. I teamed it with this Pauls Boutique bag, I think it works really well, and I think the white would look great against the colbalt blue jacket. The bag is smart/ casual so you could go straight from the office to the bar. Last of all is this NIGHT OUT outfit. I love kimono's !! They are so easy to wear and look fab. This monochrome one from F&F at Tesco is great for a night out, pop it over a black cami with a big statement necklace to dress up the jeans. I've teamed it with these gorgeous heels from New Look which again dress the jeans up! 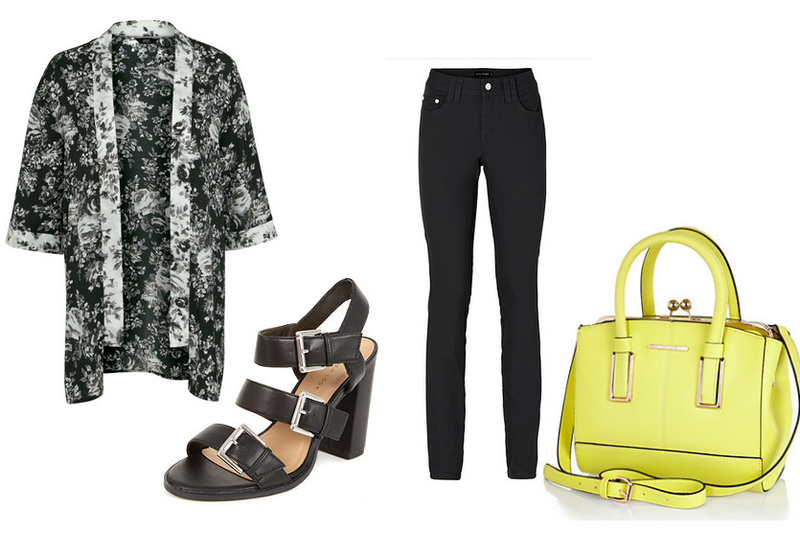 And finally a pop of colour with this neon yellow bag from River Island.